After jumping into the E-Cig pool after years of smoking and hating the cost and health impact I tried what was commonly suggested as a good starting point, the “Joye 510”. While this was sufficient to get the wife and I off normal cigarettes (called “analog cigarettes” often by the “digital” e-cig users), it was only barely good enough. We quickly researched for a better product and were able to find a lot of suggestions pointing towards the “eGo” product line which was reported to have much better quantity and quality of vapor (”smoke”) and better “throat hit” (the feeling in your throat that you have received a good “drag”) and a rather amazing increase in battery life which is one of the most annoying failures with early and/or common e-cigs such as often sold in mall kiosks still today. 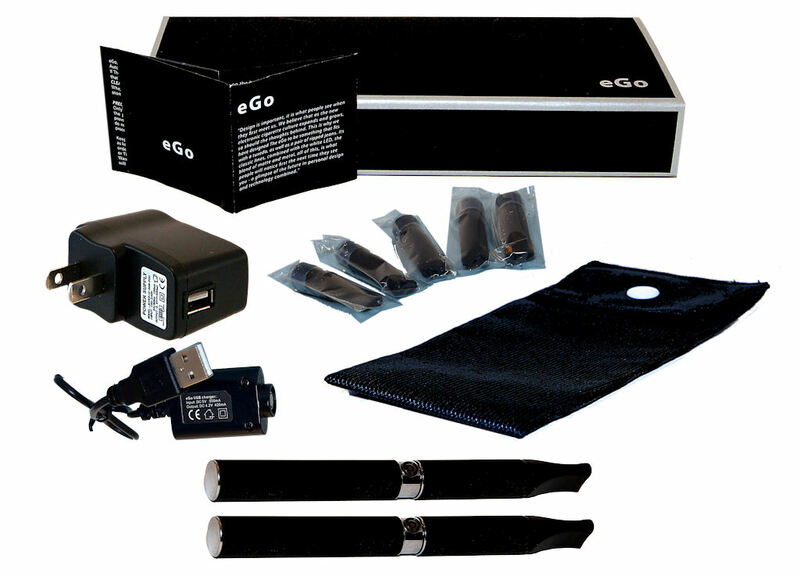 We (the wife and I) ordered a single eGo starter kit and were able to get a good impression right away and decided this was the e-cig for us and have since bought additional kits for rotation and backup purposes. This price is great for a package like this which should last approximately a week or more depending on the amount you smoke. A wide assortment of juices are available as well HERE! Once you have a starter kit like this, you would just purchase bottles of “e-juice” to refill the cartridges when they run dry, and occasionally a new pack of filled or “blank” cartridges as the filler material (like a synthetic cotton ball to absorb the liquid) within the cartridges gets a little ragged after a while and it is easier to replace the cartridge than deal with the ragged filler. Cheaper alternatives exist such as buying a bag of similar filler material and replacing the filler in your original cartridges, but I haven’t found a need to go that cheap so far. Especially with how much we are already saving. Between my wife and I, our cost per month for normal cigarettes was around $300-350 and initial cost of changing to e-cigs was probably around $200 including the first step to the unsatisfactory “510” model and extra bits to try to make them better such as low resistance attomizers and higher quality e-juice which some said would help. The second month including the change to the much more satisfying “eGo” model and extra parts for rotation/backups cost around $150. Now our cost is around $30-50 per month for e-juice refills and occasionally a new batch of cartridges, though we haven’t actually used up all the cartridges from the 3 starter sets we purchased.